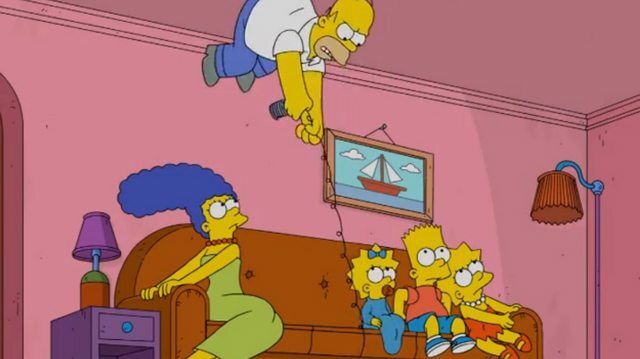 The Simpsons episode titled as Yolo started with a couch dedicated to the film Gravity by Alfonso Cuarón. Before the couch part starts, during the intro we see that the billboard reads: “Santa’s Lap, the line is already forming. Springfield Mall – Never Leave!” and Bart writes “My school schedule does not include a bye week,” on the school’s blackboard. Everybody is standing on different walls of the living-room, looks like some strange gravity is happening and the couch is the center of it. 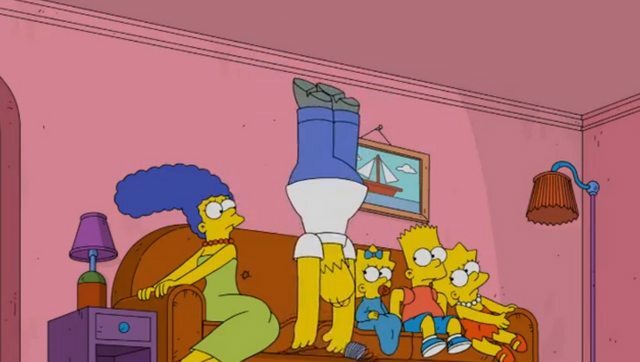 Maggie is the only one sitting with no problem on the couch while all the others try to jump and hold to it, first Marge, then Lisa and Bart, but Homer has a difficult time doing it from the roof. Maggie tries to help him with a spring toy, and when it looks like he is going to be on the couch he loses control and floats away passing through the roof to the infinity of the sky. 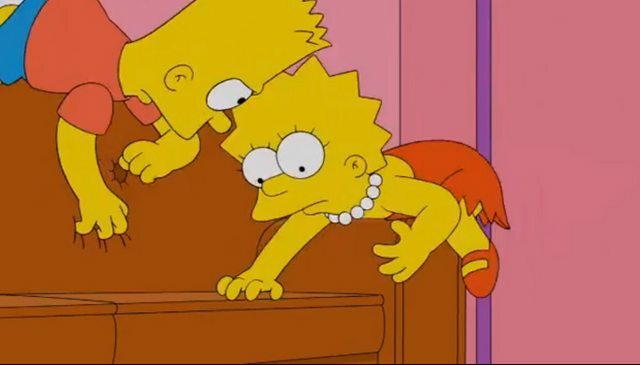 Does anyone know what music was playing during the couch gag? It’s a royalty-proof ‘version’ of “Spiegel im spiegel” by Estonian composer Arvo Pärt. 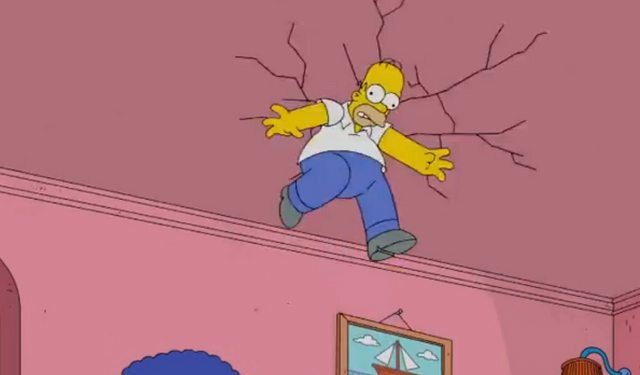 Does anyone know the music that was playing when Homer was gliding and when he wend with Edwardo to Spain? 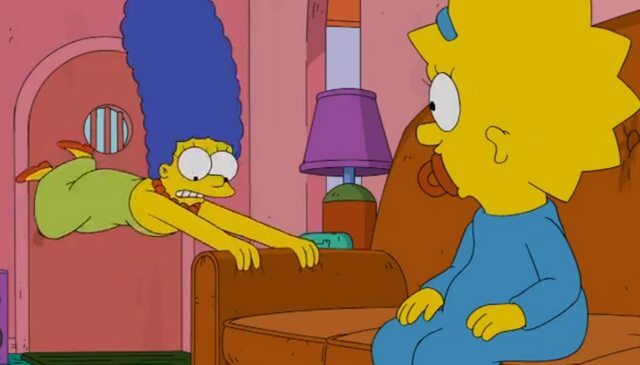 I know the name of the song now ty guys but is there any way you guys can send a link of it to me because i looked for the exact version that’s in this simpson episode and i can’t find it. 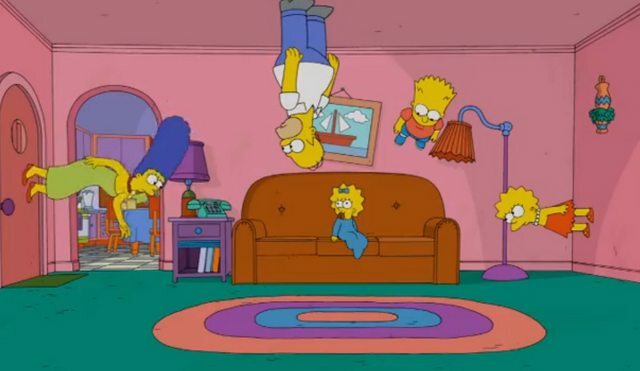 The movie being parodied is “Upside-Down” not “Gravity”. 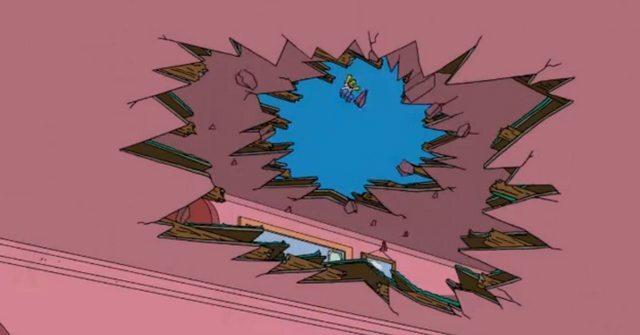 The music played during Homer’s Gliding scene is Concerto for Lute and Orchestra in D-Major by Antonio Vivaldi.